The topic of communication fascinates me. Whether between two people in an intimate one-on-one conversation or between a professional speaker and her audience, effective communication is both a skill that can be learned and an art that can be mastered. So when I was asked to review the new book, Say What You Mean, by Oren Jay Sofer, I jumped at the opportunity. Scroll on down for my complete review. Find your voice, speak your truth, listen deeply—a guide to more meaningful and mindful conversations. 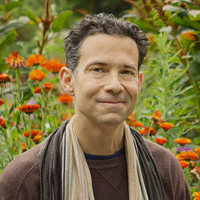 Oren Jay Sofer leads retreats and workshops on mindful communication and meditation at retreat centers and educational settings around the United States. A member of the Spirit Rock Teacher's Council, he holds a degree in Comparative Religion from Columbia University, teaches in the Insight Meditation community, and is a Somatic Experiencing Practitioner and a Certified Trainer of Nonviolent Communication. Oren creates mindfulness training programs for a number of organizations, including Mindful Schools, Kaiser Permanente, and 10% Happier. He is also the founder of Next Step Dharma and Mindful Healthcare. For more information, visit www.OrenJaySofer.com. Say What You Mean, by Oren Jay Sofer, captured my attention on the first page and kept hold until the final page. Before digging into any nonfiction book, I read and research the author's credentials. I need to know why I should trust and believe anything the author has to offer. And I must admit, not knowing anything about Oren Jay Sofer other than what was offered in his bio, I was a bit skeptical. In today's world, just about anyone can call himself a coach or expert and spout psychobabble to earn a buck. So when I read that Sofer is a "certified trainer" and a "practitioner" but saw no mention of higher-educational degrees, I wondered what I was getting myself into with his book. But I'll be the first to admit, my surface judgment was wrong! Sofer explains in the introduction that the material in the book "is a synthesis of three distinct streams of practice. . . . mindfulness [Theravada Buddhist tradition] . . . Nonviolent Communication developed by Dr. Marshall B.Rosenberg . . . Somatic Experiencing [nervous system regulation to resolve trauma developed by Dr. Peter A. Levine]" (page 4). So while Sofer may not have a PhD behind his name, he draws his material from recognized and respected leaders in their fields. Additionally, early praise for the book comes from many of his expert colleagues in the fields of psychology, communication, and Buddhism. Oren Jay Sofer's talent as a writer demonstrates his ability to communicate effectively. He has an ability to humbly engage the reader while combining "classical Buddhist training with the accessible language of secular mindfulness" (page 286). In a word, I was IMPRESSED with this book. For example on the topic of presence, Sofer suggests: "Initially, much of the work is simply remembering to be present. One way to support this is to take a few moments each morning to set an intention and then to reflect on how things went at the end of the day" (page 35). Regarding curiosity and care: "When someone trusts that we're actually interested in understanding them--that we're not manipulating things to get our way, that we're not trying to win or prove them wrong--they can stop defending themselves and just hear what we're saying" (page 75). Focus on what matters: "In some respect, we can boil the essence of any communication down to one of these two messages: 'Please, meet my need' or 'Thank you, you've met my need.' . . . When we hear one another in this way, our heart responds with two profound emotions. . . . [compassion and gratitude]" (page 132). Bringing it all together: "Humanizing the other person requires the humility and empathy to step outside of your own story and consider other perspectives. If you can put yourself in their shoes and imagine, even for a moment, what might be going on for them, it can have a profound effect on the conversation" (page 231). The design of a nonfiction book is essential to readers trying to absorb as much information as possible. 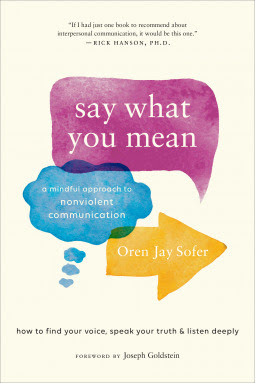 Say What You Mean, by Oren Jay Sofer, features subtitles, charts, practice items, principles defined, Q&A, and key points throughout the book, reminding and reinforcing the ideas taught within its pages. Plus, in the printed version of the book, a sound icon is included next to certain practices indicating that there is a companion guided-audio practice on Sofer's website. This is a great additional feature. As a huge fan of inspirational and thought-provoking quotes, I loved how Sofer opened each chapter with a quote on the art and power of communication. Truly, the only point in this book that I disagreed with was the concept of saying no to someone. I'm a true believer that I have a right to say no to anyone for any reason without needing to give an explanation. Sofer advises, "If you say no without affirming their needs in some way, the other person may interpret your response as not caring about them" (page 204). I recognize that I will always have room to grow into a better person, and this may be one of those areas, but for now, I reserve my right to say no without justification. "Our words are carried on a wave of breath, the same breath that feeds the cells of our body with oxygen from the moment we are born until the moment we die. Pause to take this is for a moment: we use the same physiological process to speak as we do to sustain our life energy" (pages 18-19). "The single biggest problem with communication is the illusion that it has taken place" (page 94). 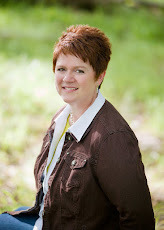 "When one speaks authentically, vulnerability carries tremendous power" (page 123). In conclusion, I highly recommend Say What You Mean, by Oren Jay Sofer, to everyone--especially to parents, partners, public speakers, salespeople, teachers, leaders, and learners.